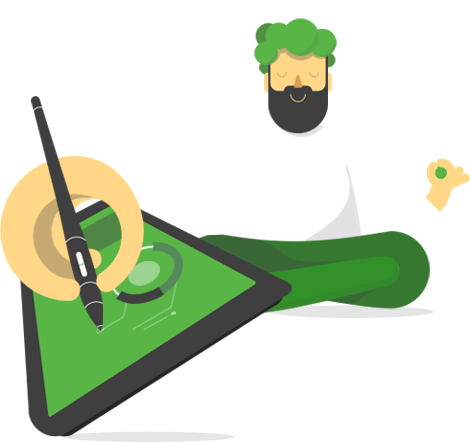 Draw a custom illustration that would act as a promo pin for the Pinterest Ads Campaign. The primary purpose of this project was to design a creative and effective marketing material that would be attention-grabbing, suit the Pinterest platform, present our company’s competitive advantage, and contain a clear call to action. We had to come up with a simple, yet interesting idea of how to show the main cons of our service. In this Promo Pin we concentrated on one of our products – eye-catching pins. 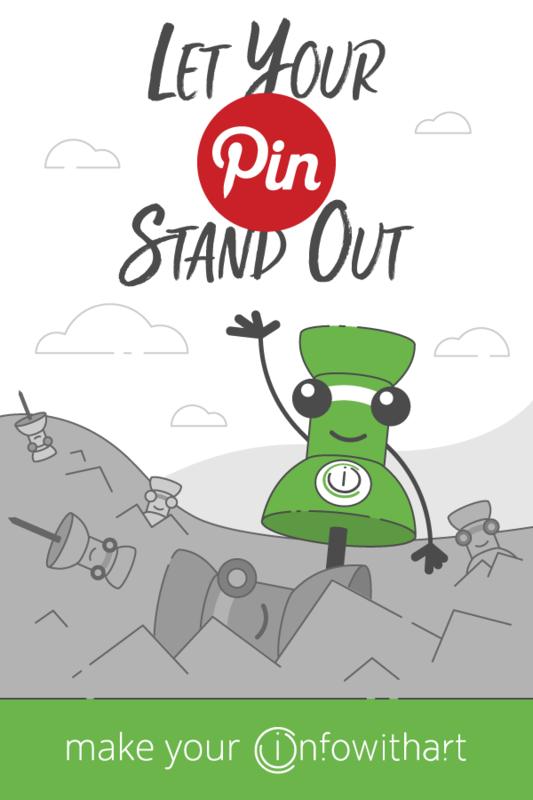 We decided to dress up the main Pinterest symbol – a drawing pin – and customize it a bit to our company's branding colors. That's why it's green and wears our logo. We also went with our corporate font choice. It adds a fun touch, and a brief text does not overwhelm the composition in order to keep the viewer concentrated on the main message.